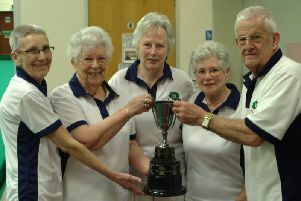 Wolston Ladies Cricket Club reigned victorious at the tip and run six-a-side tournament held at Southam CC on Sunday. After a year of near extinction when losing their ground in Wolston, it took a lot of hard work and commitment from team members who worked tirelessly to secure the team a new ground on which to play. Captain Tracy Wasley said: “After 40 years of playing in the league, this win is a massive boost to our future prospects.